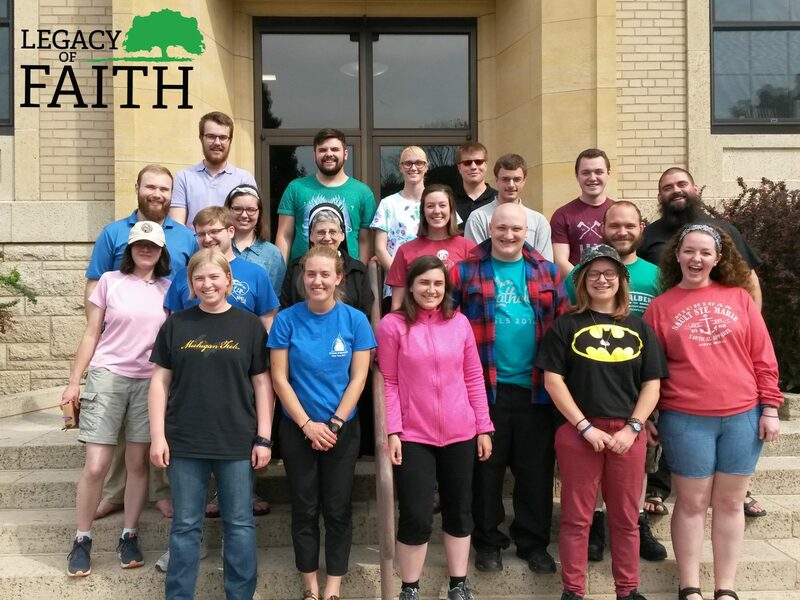 Pictured Above: Sixteen missionaries and two interns, with support from Fr. Ben Hasse and Sr. Jacqueline Spaniola, OSF, are prepared to spend the summer serving Catholic parishes around the U.P., Wisconsin and Minnesota. Grant support from Legacy of Faith lowers the cost for U.P. parishes to participate. 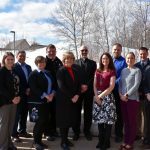 Sixty-eight grants totaling over $283,000 were approved to benefit faith education and social services throughout the Upper Peninsula. 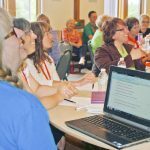 Catholic parishes, missions, Catholic schools and Catholic Social Services of the Upper Peninsula are the beneficiary organizations. Bishop John F. Doerfler of the Diocese of Marquette approved the current grant awards following recommendations from the Legacy of Faith advisory board and grant review committee. In accordance with Legacy of Faith endowment guidelines, half of the available grant funds support Catholic schools, 30% parish faith formation, 10% Catholic Social Services of the U.P. and 10% Catholic Action Fund, which supports new and emerging programs and ministries. Under Doerfler’s leadership, the focus of grants has been on evangelizing programs and ministries that support his three-fold invitation to the people of the Diocese of Marquette to be a friend of Jesus, make a friend, and introduce a friend to Jesus. 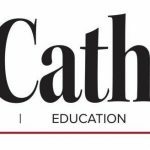 Each of the nine Catholic schools received a total of $145,982. In consultation with school superintendent, Mark Salisbury, schools are asked to focus the grant funds on efforts that improve school sustainability, including designating 10% each year, over a period of years, to enhance curriculum. Fifty-seven grants for faith formation programs were approved totaling $82,825. Grants were awarded in all seven vicariates, or geographic regions, throughout the Upper Peninsula. A variety of programs were funded that benefit all age groups. Many of the faith formation grants are supporting parish-specific evangelization plans. Catholic Social Services of the U.P. will receive a $29,196 to help provide counseling assistance to clients who do not have insurance to pay for services or are under-insured. Catholic Social Services offices are located in Marquette, Escanaba and Iron Mountain. For further information about Legacy of Faith or the programs receiving funding, visit www.LegacyOfFaith.net or contact Terri Gadzinski at 906/227-9108. Click here for a complete list of our 2018-19 approved grants!